This homemade costume for adults entered our 2011 Halloween Costume Contest. 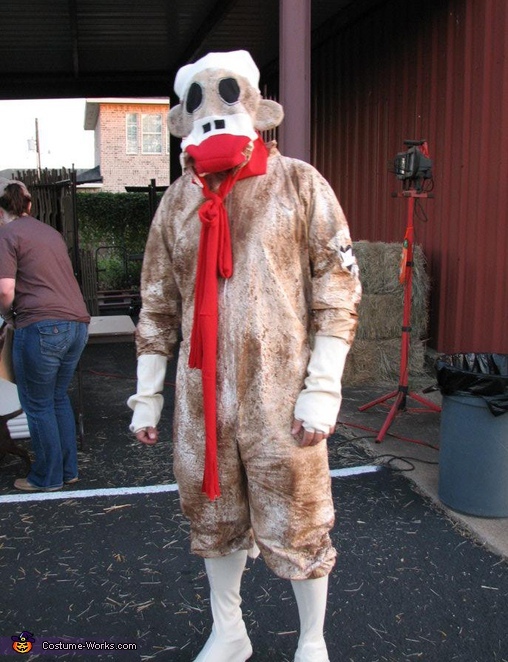 My husband wanted to be a Sock Monkey this year. Imagine his surprise when I presented him with this costume which started as a Tyvak painting coverall.